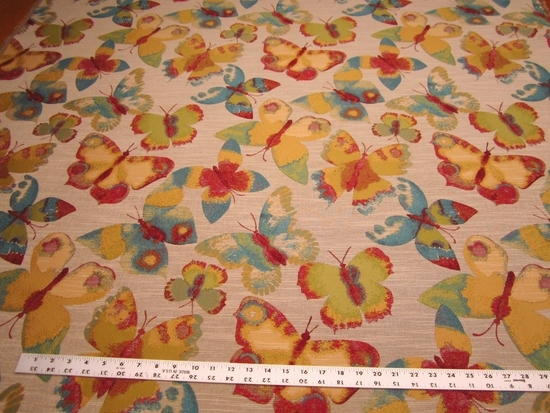 "Get Your Net" Butterfly tapestry upholstery fabric color jellybean. 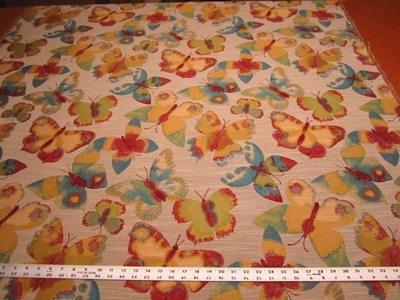 P. Kaufmann Decorator Tapestry Fabric - Festive butterfly jacquard fabric. Thick, soft & durable. Perfect for upholstery fabric, window treatment fabric, top of the bed fabric or pillow fabric.